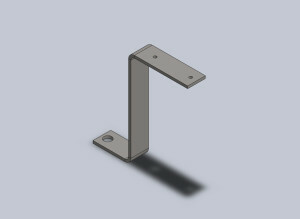 This part was created using Solidworks 2012 Sheetmetal. All bends are accounted for using standard values. A PDF of the fully annotated drawing file can be found here. Copyright © 2019 Jon Torrey.